Our gunner sight kit upgrade replaces the old TPN periscope night vision channel with state-of-the-art thermal imaging technology, greatly increasing the gunners’ visual range for identification and acquisition of targets in all lighting and weather conditions. The kit comes with an advanced uncooled thermal imaging core, a long-range aperture lens, an electronic control panel, and a new high-resolution OLED based eyepiece. 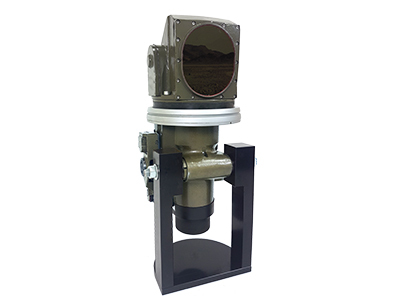 It provides major improvements while preserving the same user interface and basic functionalities of the original TPN periscope, can be seamlessly integrated with a variety of tanks, and has a range of options including video recording and display monitors. Ready-to-install, our thermal gunner sight upgrade is a cost effective solution that provides gunners enhanced visual range, enabling them to better identify and tag targets 24/7, even in situations of complete darkness or limited visibility such as dust, fog, and rain. For more information about our customized solutions or a quote, contact us today.